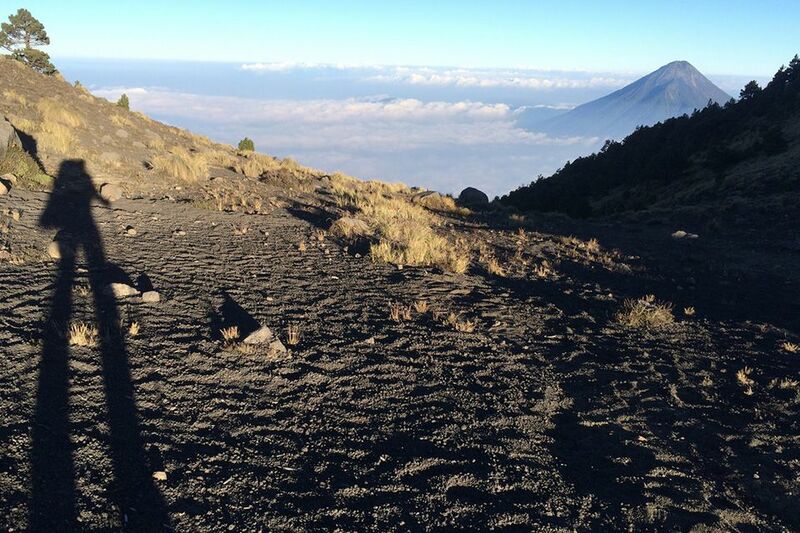 Summit Elevation: 3760 m - 11,928 Ft.
Hunapu in Mayan toungue, or locally known as Agua Volcano, forms the southern backdrop for the north-south grid layout of the colonial city of La Antigua Guatemala. Its symmetrical beauty makes Agua a prominent landmark visible from every direction. 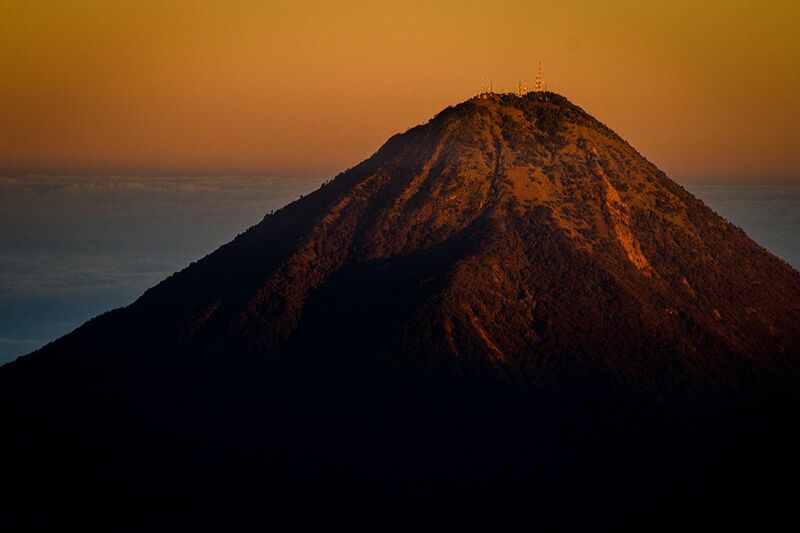 Luring most every visitor in Antigua, Agua’s forested cone is begging to be climbed! Its name derived from a devastating mudflow originating in the crater, destroyed the first capital of Guatemala, now known as Ciudad Vieja, or the old town. As you reach the top you can appreciate the breach on its N-NE rim where the crater filled with water and the mudflow originated. 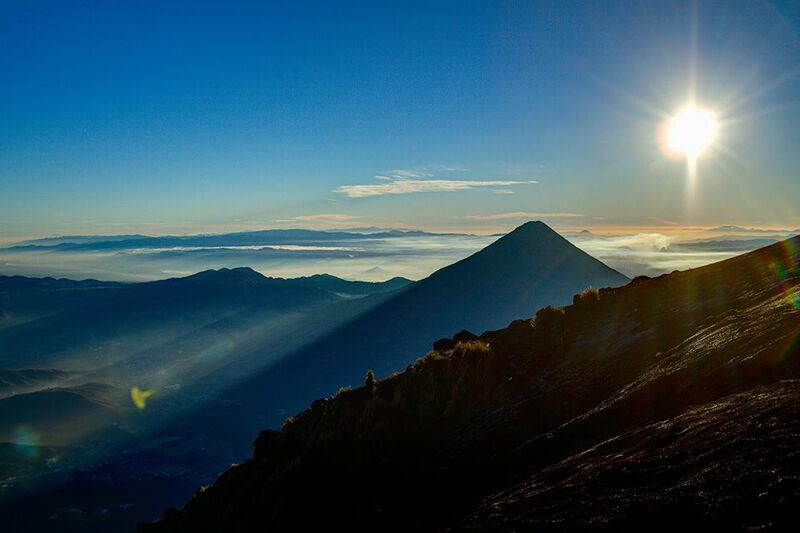 Agua’s summit offers stellar views over the Antigua valley, Guatemala city, the Pacific coast, and numerous mountain ranges almost all the way to Honduras and El Salvador. Our day trip leaves at 5:00 AM from Antigua to the trailhead in Santa Maria de Jesus, and the overnight excursion starts a bit later .